HHS will now play the Varsity football game against Frankfort on Thursday night and then play their volleyball game Friday night. Start times remain the same. All county students K-12 will be admitted to HHS athletic events FREE thanks to The Bank of Romney and FNB Bank. High school students must show their school ID and middle & elementary students have to enter with a paying adult. All sports SCHEDULES, including CANCELLATIONS & CHANGES, as well as rosters, scores, photos, news and information about other school events are on the Hampshire Trojans Big Teams website. 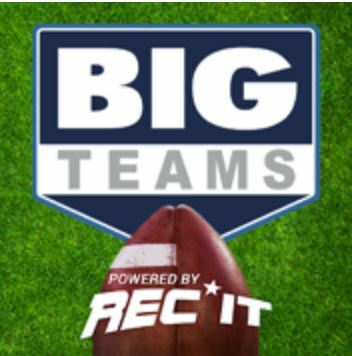 Schedules can also be viewed on the Big Teams mobile app on your phone or tablet. The address for the website is http://hampshiretrojans.com. The schedules are already posted and if anything changes, the updates will show up there immediately. You will just need to create a "fan" account with a username and password in order to be able to view all the details. The link to the mobile app is https://bnc.lt/4ake/56rqLCYXRq or you can just search for Big Teams (by Moko) in your app store on your phone. You will have to first add Hampshire High School (under West Virginia) and then check the HHS teams that you wish to view from the list in order to get their schedules. You may view/download the directions for registering for the website and also for installing the mobile app from BigTeams. Both of these will allow to monitor the teams you wish to follow. You may also call the school to get information about events @ 304-822-5016; ext. 1002 or 1004.
plus Insurance Form and Drug Testing Form completed in order to participate in athletics. Dr. Release Form - Give to Athletic Director, Kari Williams, when released to return to practice/play after an injury or illness. Important Information about Concussions for coaches, parents and students to read! Follow Hampshire High School Athletics on Facebook for the latest important updates. Follow Trojan Athletic Association (TAA) (boosters) on Facebook and support HHS athletes. What is School Messenger and how do I sign up?